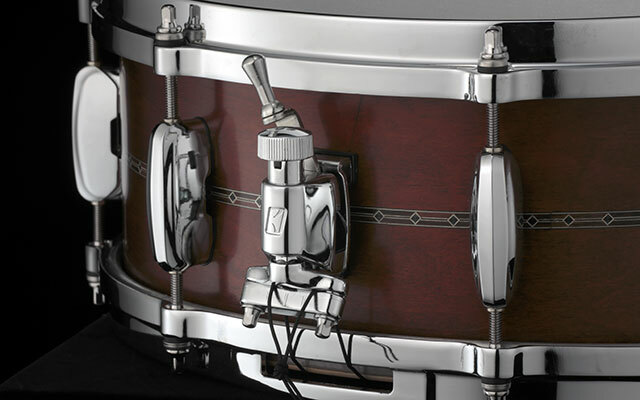 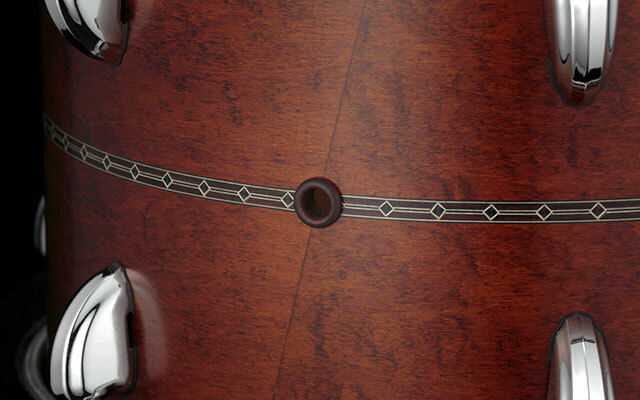 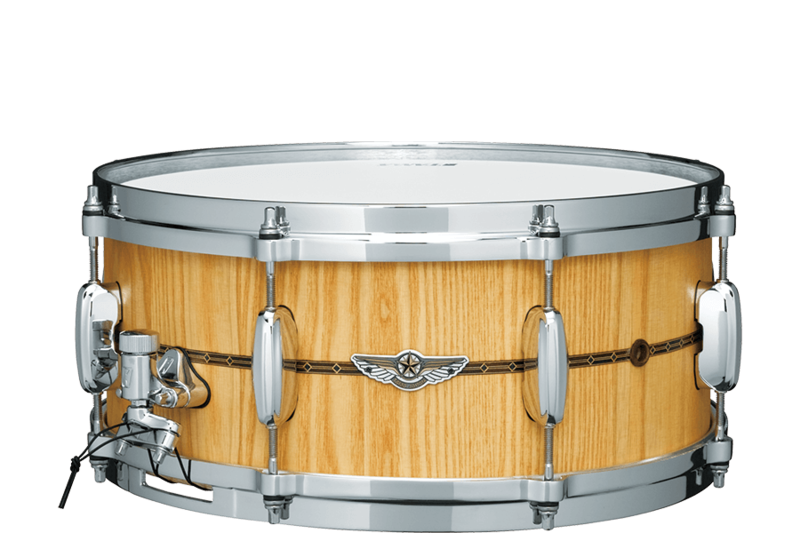 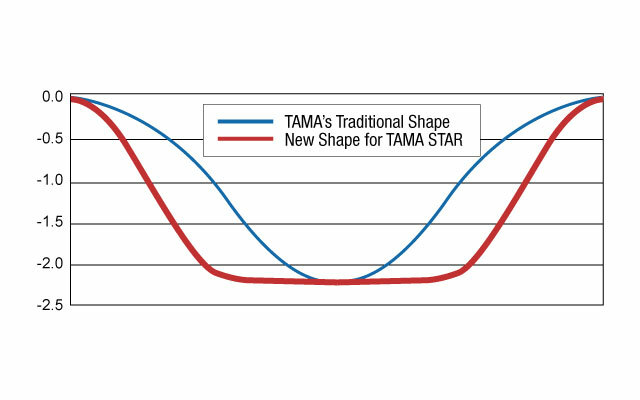 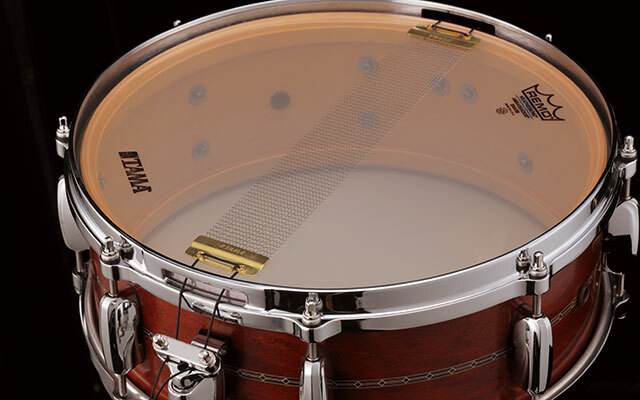 TAMA's stave shell snare drums are constructed using 16 staves of wood that are precisely cut, then bonded together to form a tightly formed 10mm thick shell. 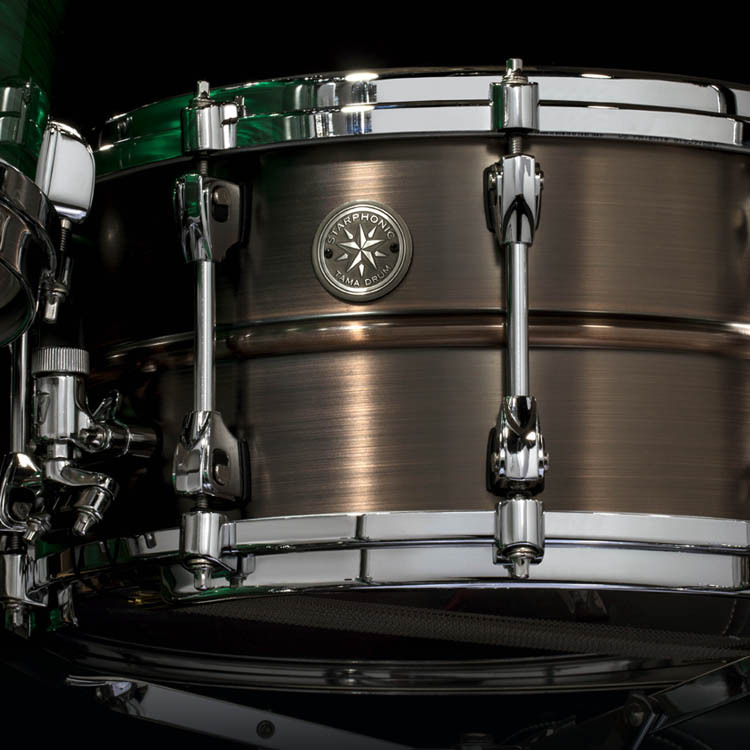 The shell fusing process is combined with die-cast hoops to produce a shell that is dense and powerful with a sound that jumps with attack and clarity. 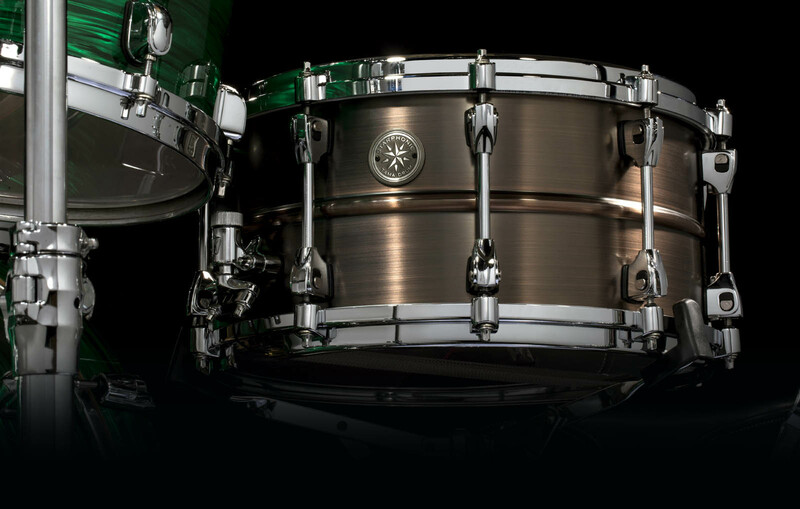 The ash model particularly embodies the quick, cutting attack and response. 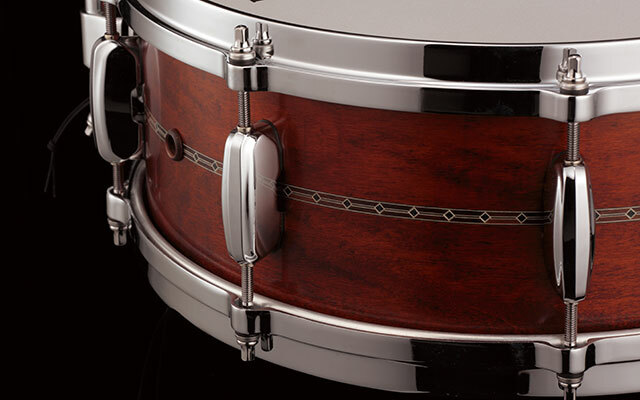 The walnut shell is characterized with a richer, warmer timbre but still with punchy attack.